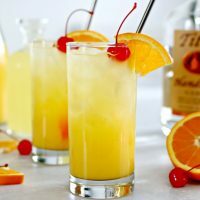 The Black Eyed Susan Cocktail is the official drink of the Preakness, and is one of my favorite drinks even when horse racing isn’t going on! I’ve never actually been to the Preakness, but my husband and I have gone to Keeneland for the past few years to watch it. We love the atmosphere, and even if you can’t be at the Preakness, you almost feel like you are there. There are televisions everywhere showing the races, and you can even bring a picnic and throw your own Preakness party there…it’s so much fun. 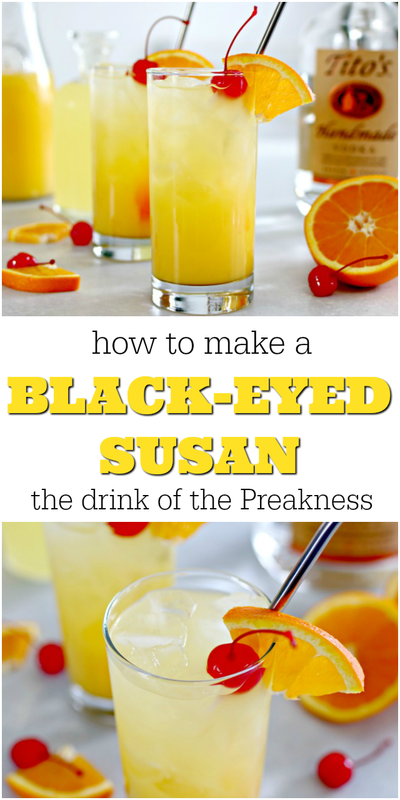 They also serve drinks, including the official drink of the Preakness, the Black-Eyed Susan. I’ll never forget the first time I had one…I took one sip and decided right then and there that this was going to be my go to drink for the summer! I insisted my husband get one too (mostly so I wouldn’t have to share mine) and he loved it as well. 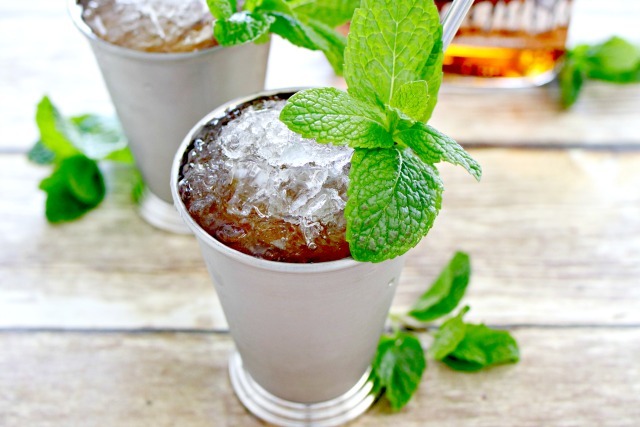 If you’d like the recipes for all of the drinks of the Triple Crown Races, check out this Classic Mint Julep Cocktail Recipe and this Belmont Jewel Cocktail Recipe…you will love them! 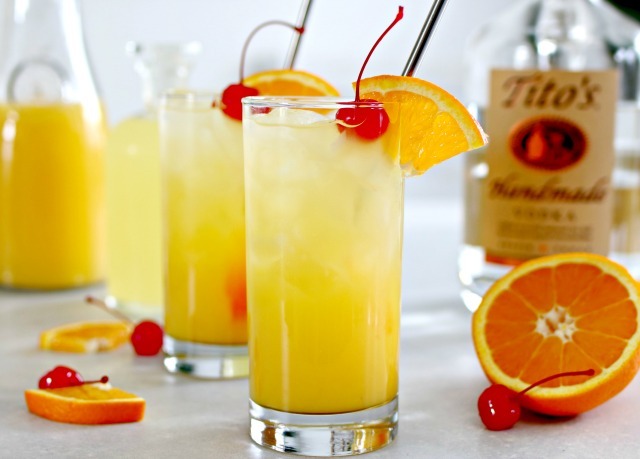 Step 1 – Add 1 1/2 ounces of vodka, 1 ounce of bourbon, 2 ounces of orange juice and 2 ounces of sour mix to a glass. Step 2 – Fill the glass with ice and stir well. Step 3 – Garnish with a cherry and an orange slice. Enjoy! Add all ingredients to a tall glass. Fill with ice and stir well. 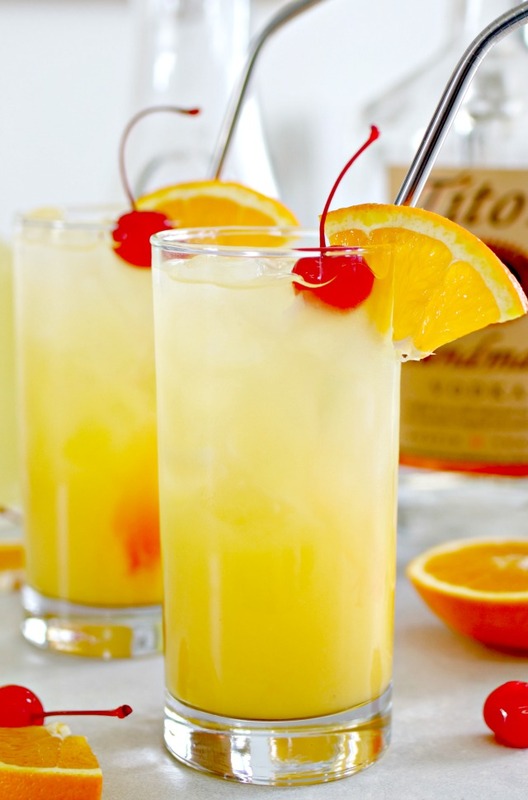 Garnish with a cherry and an orange slice.